Cranberry sauce is definitely one of my favorite things to eat at Thanksgiving. Several years ago, while on a personal mission to eat healthier, I developed this recipe to have a homemade, lower calorie cranberry sauce. This recipe is done in the slow cooker and I opt to substitute Spiced Rum for a portion of the water. What goes better with Spiced Rum than lime! 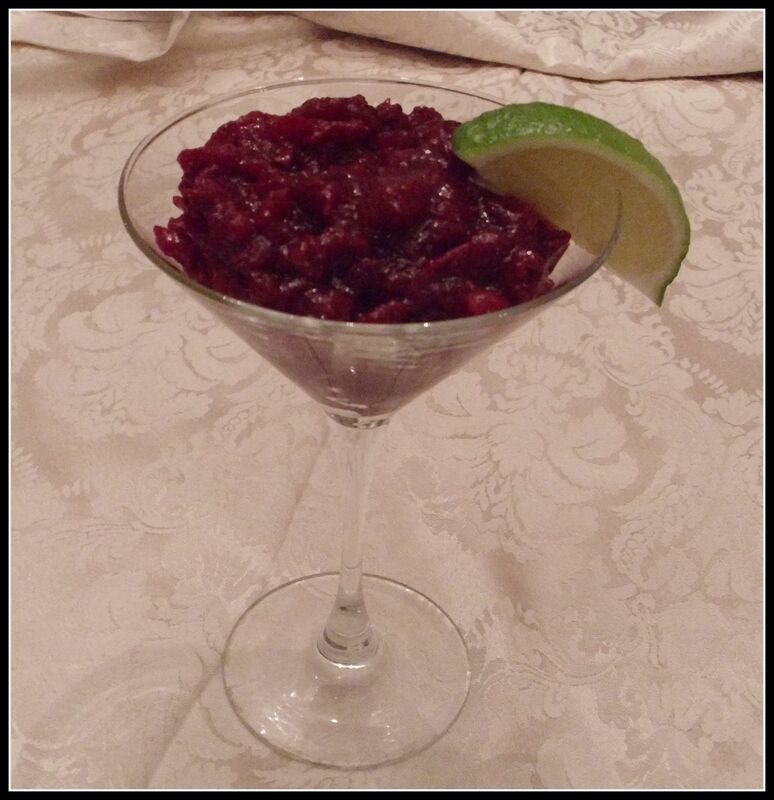 Cranberries pair very well with lime and it is an unexpected twist on the traditional orange zest that most use. I like it so much that I make a several batches this time of year and store some in the freezer. It is great on yogurt and oatmeal ( or add to your post-workout shake!). I’ve included a cocktail recipe using Slow Cooked Spiked Cranberry Sauce (cool way to use leftover cranberry sauce…if you have any). Rinse cranberries and pick out the stems. Add cranberries, Splenda, spiced rum, water, cinnamon sticks to the slow cooker. Cook on High for 2 hours (or on low for 4 hours). Stir in the lime zest. Transfer to an air tight container and keep in the refrigerator for up to 3 weeks. 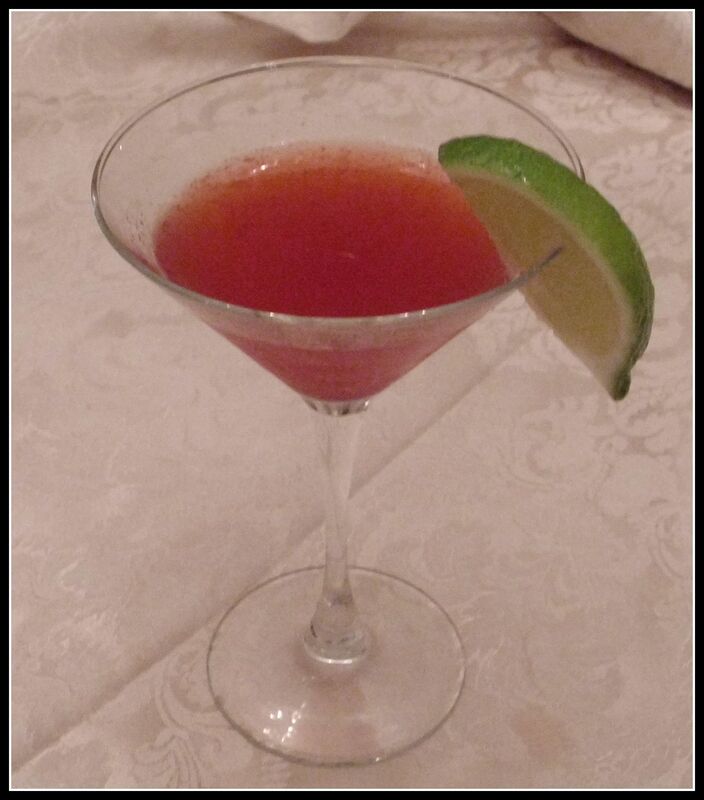 Blogger’s Comments: You can also opt to use 1 cup water and skip the spiced rum. On the flip side, you can opt to use 1 cup spiced rum and skip the water. Great way to use up the leftover cranberry sauce during the holiday season! Great for parties! Pour into two martini glasses and garnish with a lime. What a versatile recipe! 😉 I’ve been telling myself I need a slow-cooker and I love the idea of putting it in a smoothie, I’m a smoothie girl for sure, and this sounds like a winner way to upgrade my blended creations! Thank you…. I also found that it took my morning oatmeal up a notch too…. Have a great day!